A shrimp that sings in the mailroom? A little girl freeing tiny prisoners from a blimp piñata at a birthday party? Dogs made of kale? “MailShrimp”, “Jailblimp” and “KaleLimp” are three crazy little films directed by The Sacred Egg that will air first in movie theaters. They are the debut ad campaign for MailChimp, making a hilarious pun of the brand’s name. 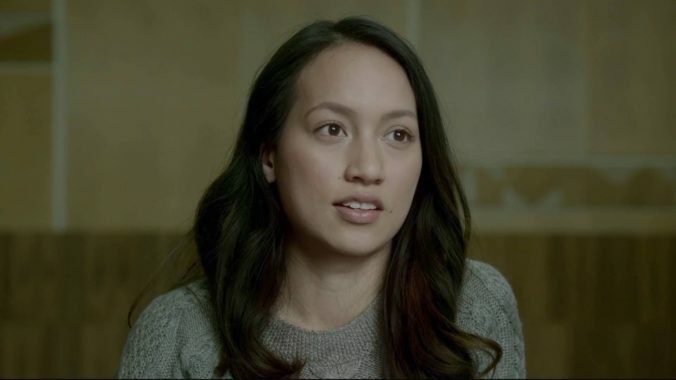 The films are part of a larger campaign taglined “Did You Mean?” that centers on the fact that apparently people regularly mispronounce the MailChimp name or get it completely wrong! 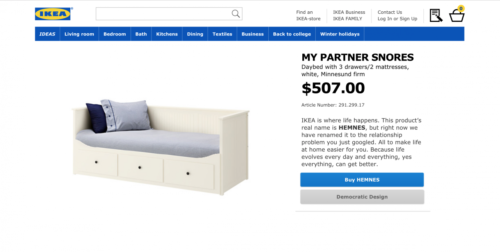 A Swedish pharmacy chain came up with an original idea to encourage smokers to give up smoking as a New Year resolution. 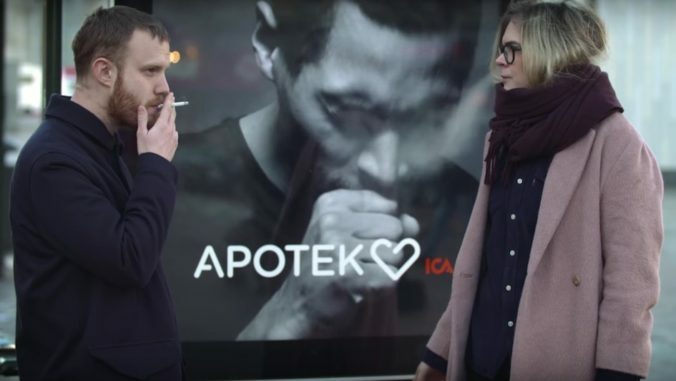 Agency Akestam Holst created an outdoor innovation – a billboard that “coughs” when you smoke near it. The poster has built-in alarms that sense cigarette smoke. When smokers light up and smoke a cigarette anywhere near the billboard, it reacts making the man in the video-poster suddenly cough. Smokers are then given advice on nicotine replacement products available from the pharmacy. Brilliant! A very cool tribute to calligraphy: The world of contemporary calligraphy inspires the new Persol Calligrapher Edition for eyewear. The featured artist in the company’s latest communication campaign is Paul Antonio, Persol’s official calligrapher and also one of the official Royal calligraphers in London. 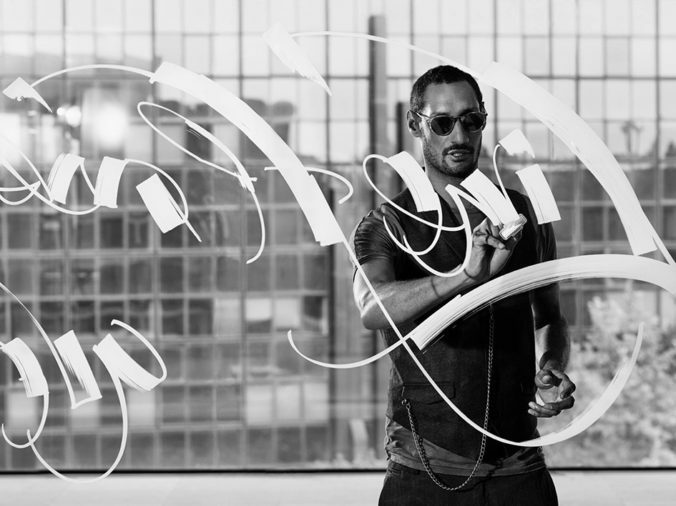 You can see some more of his excellent calligraphy demonstrations in Persol’s Vimeo channel. 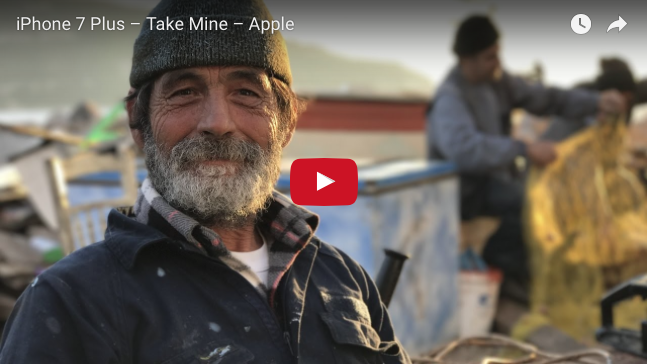 Apple has just released ‘Take Mine’, the new iPhone 7 commercial that takes place in a traditional Greek village. The characters all speak Greek, which is kind of fun! And I really like the new Portrait Mode camera feature! Try it yourself on the website of Ikea Retail Therapy. The project launched in Sweden a couple of weeks ago, and got a lot of positive media attention. This is the new festive advert for H&M directed by Wes Anderson! 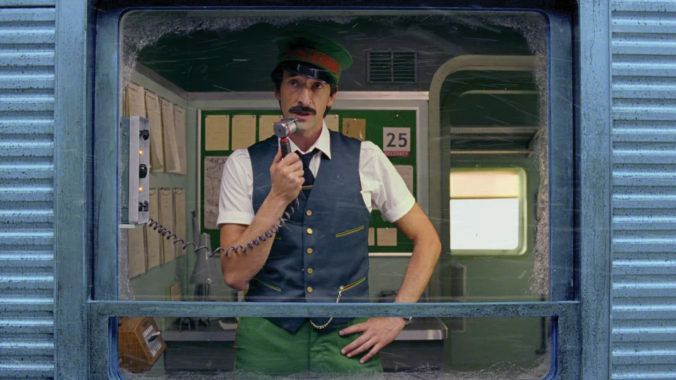 Come Together is a short and sweet film, in true Wes Anderson style, starring Adrien Brody as a train conductor. It’s the first H&M Christmas ad to be created by advertising company Adam&Eve/DDB, which again produced this year’s John Lewis’ excellent holiday campaign, Buster the Boxer. Anderson’s film is quite different from H&M’s 2015 campaign – a glittering colourful spot starring Katy Perry as a Christmas fairy, or Lady Gaga & Tony Bennett’s singing extravaganza for 2014 campaign . Momondo is a global travel search site. And they came up with this idea for an ad: They supposedly asked 67 people from all over the world to take a DNA test, and it turns out they have much more in common with other nationalities than they would ever have thought. Although I suspect this film is using actors, nonetheless I think the message is so strong that it works. Brilliant! 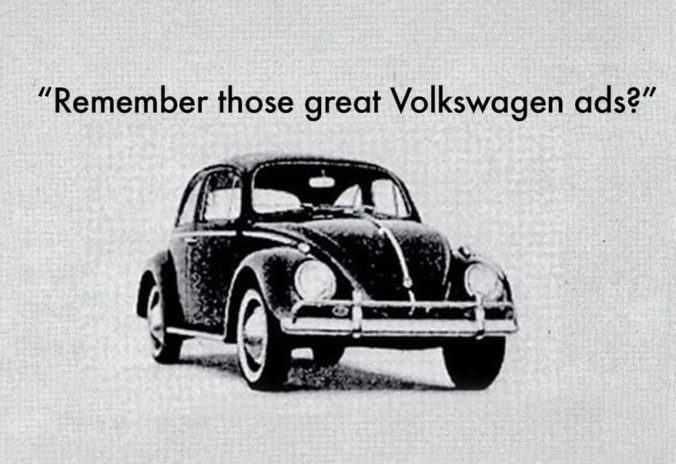 A delightful and insightful short documentary about the groundbreaking advertising campaign DDB created for Volkswagen, universally acknowledged to be the greatest and most influential of all time. 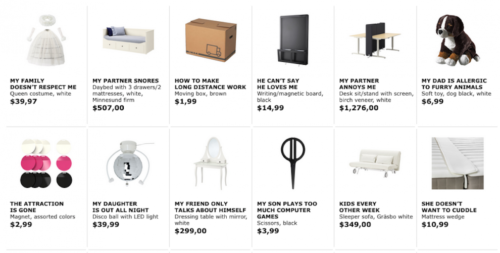 At the time simplicity was the key, but this is why these ads are still so modern! This is a film by British filmmaker Joe Marcantonio. His father Alfredo was the advertising manager of VW in the seventies and in 1982, he co-authored the book with the same title. At the moment, I see this perfume ad everywhere on the internet. And of course it would be, because it is absolutely crazy and fabulous. It features actress and dancer Margaret Qualley performing an unexpectable choreography for the new ad for KenzoWorld. It is directed by Spike Jonze, the director of the absurdly hilarious film “Being John Malkovich”. But Jonze has done this sort of thing before. Maybe some of you remember the excellent music video he directed for Fatboy Slim called “Weapon of Choice”, back in 2000 (see video below), starring a groovy, tap-dancing Christopher Walken. Very similar to the Kenzo ad and personally, one of my favorite music videos. A Direct Grand Prix in this year’s Cannes Lions festival for the Swedish Tourist Association. 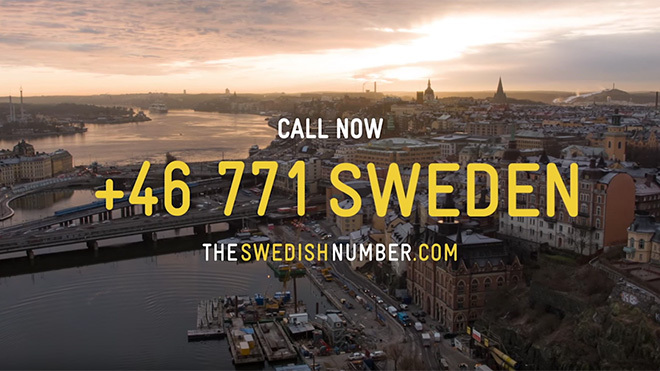 In order to honor the anniversary of becoming the first country in the world to introduce a constitutional law to abolish censorship 250 years ago, the Swedish Tourist Association created a phone number where audiences could call up a random Swede, to ask anything they like, generating press all over the world.